Steel Sheet Pile, according to its different processing technology can be divided into: hot rolled/tensile steel Sheet Pile, cold-formed steel sheet pile. 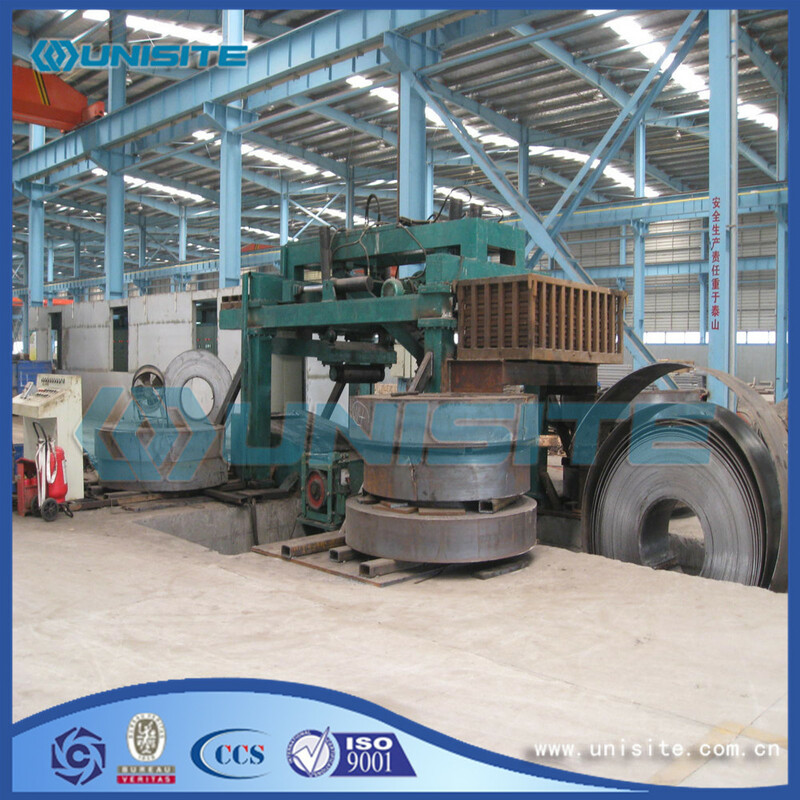 Now because of the limitation of scale production conditions and hot rolled steel sheet pile in domestic production line, the hot rolled steel sheet piles are used in our country from abroad. Common hot rolled steel sheet pile manufacturers have hyundai steel, Nippon steel mills, Japan's sumitomo steel, JFE steel mills, as well as Europe and the United States part of the manufacturers. Function, appearance and the practical value is the people choose the standards adopted by the building materials. 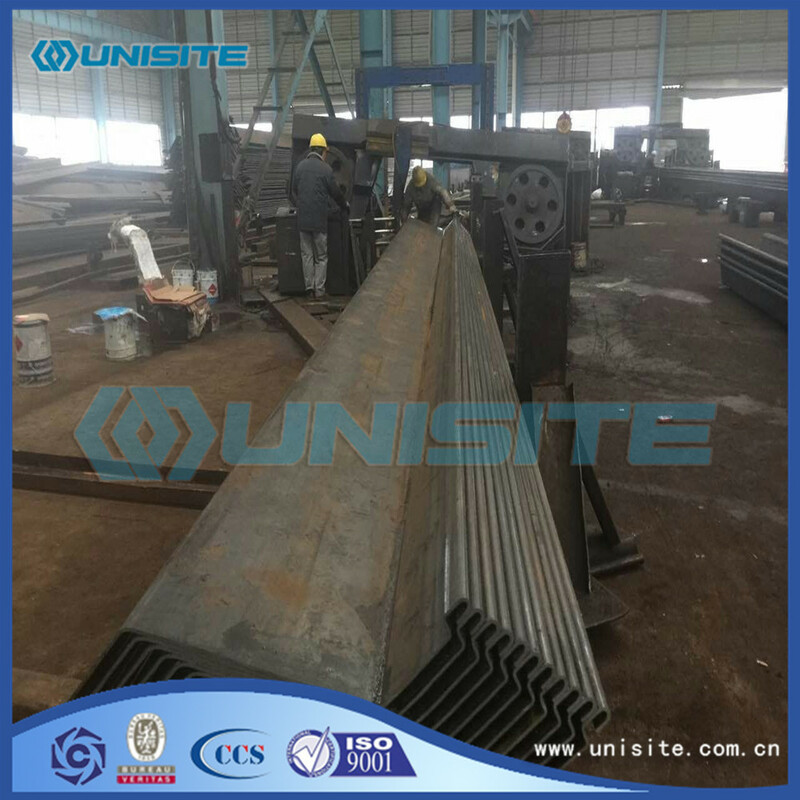 Steel sheet pile is in accordance with the above three points: the manufacturing of the component elements provides a simple and practical structure, and meet all the requirements of structural safety and environmental protection, and application of steel sheet pile complete building has a lot of appeal. 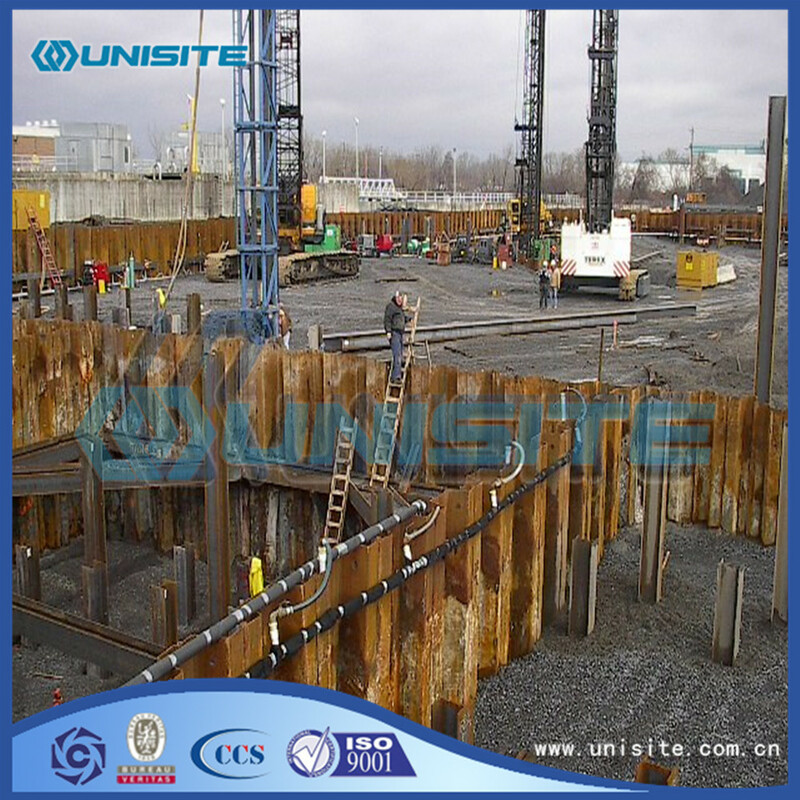 Throughout the application of steel sheet pile and extend to the whole construction industry, from the traditional water conservancy projects and the use of civil process and through the application of the rail and tram to environmental pollution control applications. Steel sheet pile practical value in many new product innovation reflected in the production, for example: some special welded together buildings; Through the hydraulic vibration pile driver and made of metal plate; Seal combination locks and factory paint processing. A lot of factors to ensure that the steel sheet pile maintain a most useful manufacturing component elements, namely: it is not only beneficial to the steel quality excellence, but also conducive to the research on the market of steel sheet pile and its development; Conducive to the optimal design of the product features in order to better meet the needs of users. The development of specialized cementing printing process is a good example of this. HOESCH patent system, for example, it created the steel sheet pile in pollution control in terms of important new areas. Since 1986, when the HOESCH steel sheet pile is used as the vertical seal of the retaining wall to protect the contaminated land, found that the steel sheet pile in line with the requirements of all prevent leakage and pollution. The advantages of steel sheet pile is used as the retaining wall also gradually is widely used in other fields. Looking for ideal Steel Sheet Pile Manufacturer & supplier ? We have a wide selection at great prices to help you get creative. All the Steel Sheet Pile Wall are quality guaranteed. 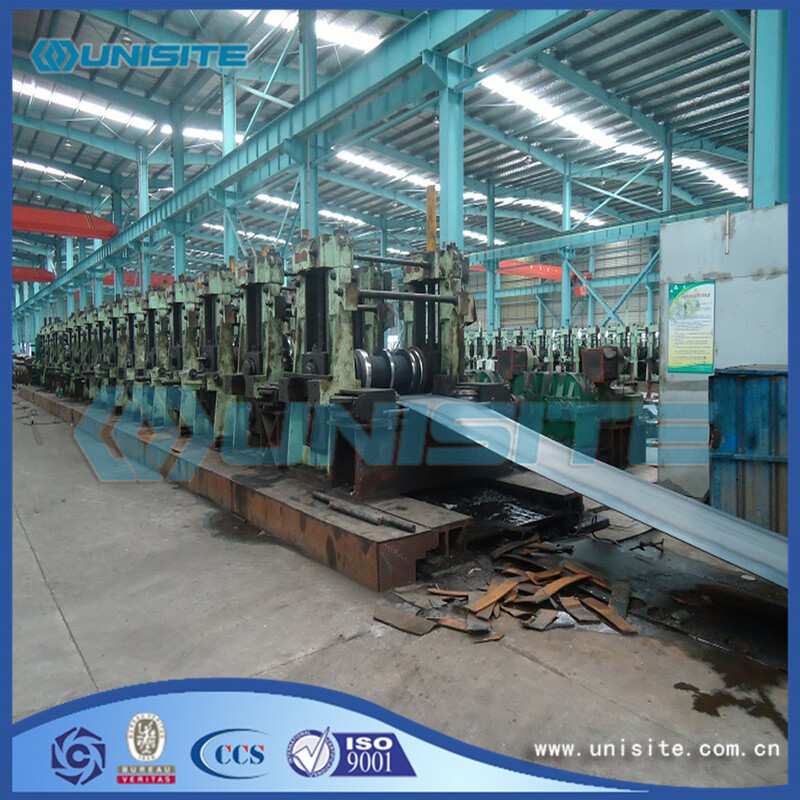 We are China Origin Factory of Cantilever Sheet Pile Wall. If you have any question, please feel free to contact us.